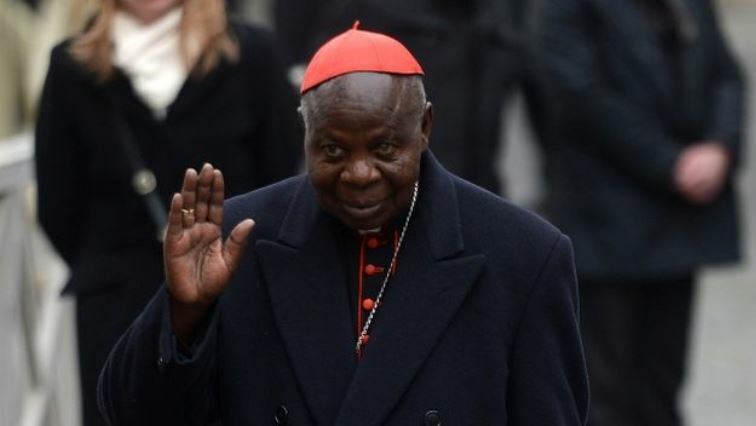 Kinshasa's archbishop, a government critic, steps down - SABC News - Breaking news, special reports, world, business, sport coverage of all South African current events. Africa's news leader. Laurent Monsengwo, archbishop of Kinshasa and a vocal government critic, has stepped down, the church said Thursday, just weeks before key elections to replace President Joseph Kabila. The 79-year-old Monsengwo passed the baton to Fridolin Ambongo, who will take over as de facto leader of the Democratic Republic of Congo’s powerful Catholic Church. Monsengwo is a harsh critic of the violence that has plagued his country for decades, including successive civil wars that killed millions. In January, the archbishop placed himself on a potential collision course with those in power over a New Year’s Eve crackdown on Catholic demonstrators demanding an end to Kabila’s presidency. “We can only denounce, condemn and stigmatise the behaviour of our supposedly courageous men in uniform, who, sadly… are channelling barbarism,” Monsengwo said at the time. Kabila has been in power since 2001, at the helm of a regime widely criticised for corruption, repression, and incompetence. His constitutional term in office expired in December 2016, but the church brokered a deal seeking to avert a bloodbath by allowing Kabila to stay in office provided elections to replace him were held in 2017. Kabila has bowed to international pressure to step aside and the vote will finally be held on December 23. This entry was posted on 01 Nov 2018,04:53PM at 4:53 PM and is filed under Africa, News, Homepage Featured Story Slider. You can follow any responses to this entry through the RSS 2.0 feed. Both comments and pings are currently closed.